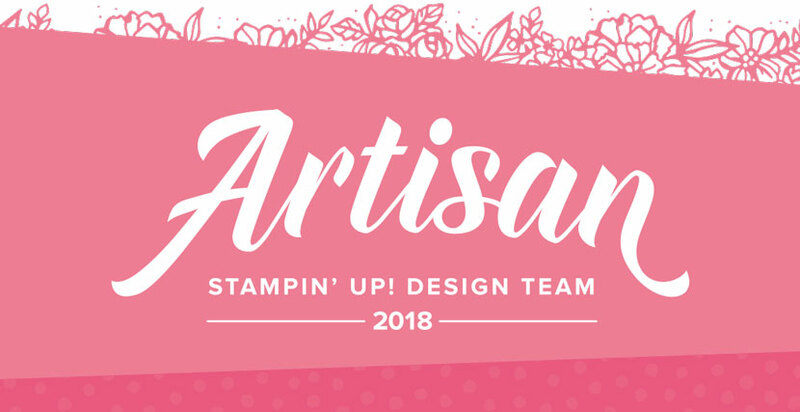 Last year I was so honored to serve on the official Stampin' Up! Artisan Design Team. The team really connected throughout the year and we wanted to reunite to hop together again. So it's with great pleasure that I welcome you to our little reunion party! 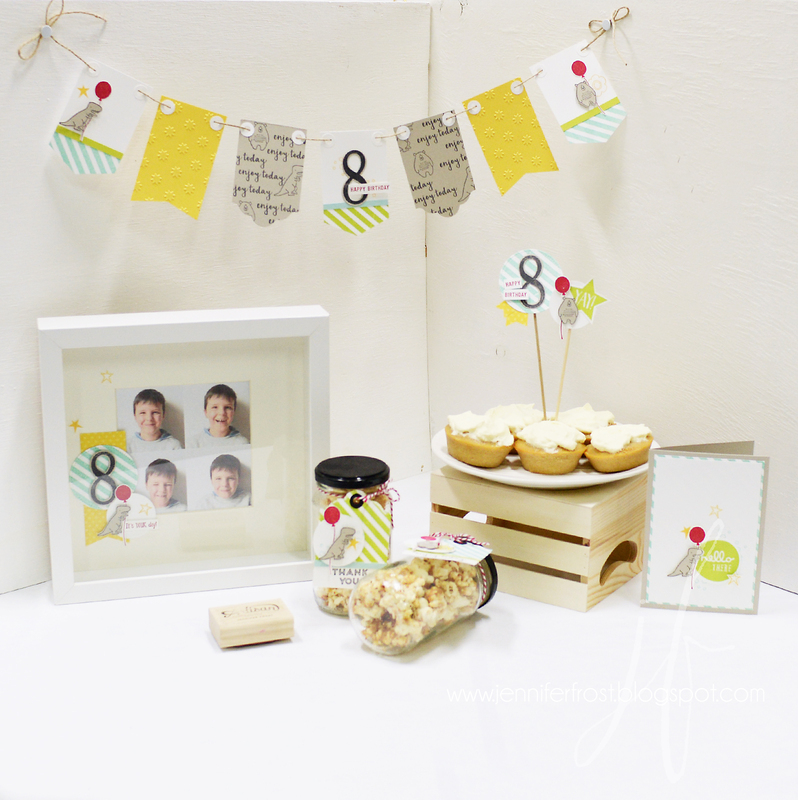 I hope that you have a wonderful time and pick up some fun tips and project ideas! This design I have for you is an over-the-top, mixed metallics, technique filled project! I made this card at the special request of one of my class friends. She'd seen a sample on page 48 of the Occasions catalogue and wanted to make something like it. I took on the challenge and created this variation. I have a detailed video tutorial for all of you, you can find it on *YouTube HERE*! 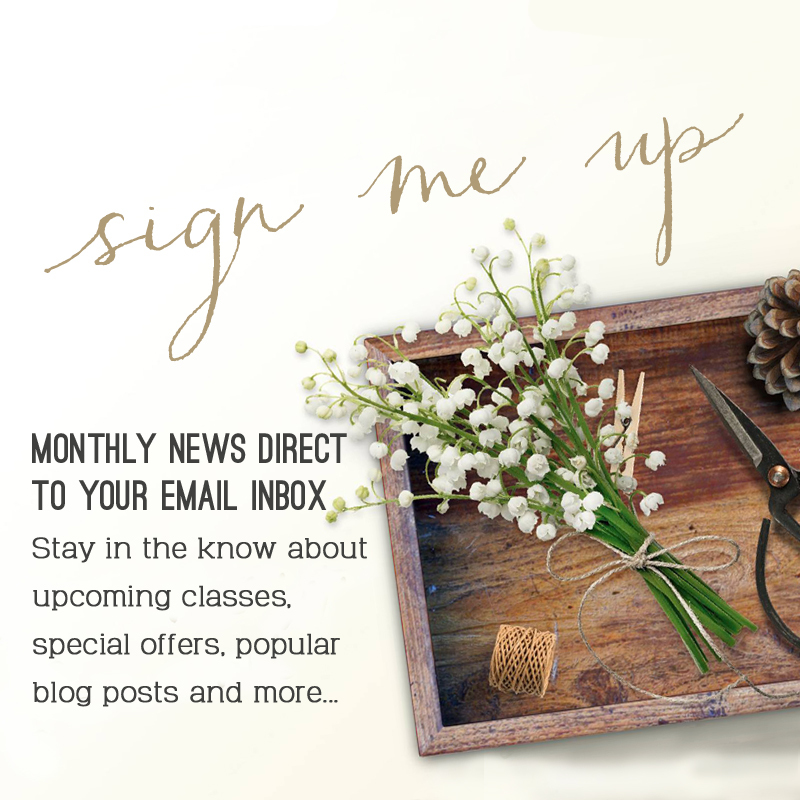 I'd love for you to join me, craft alongside and let me know what you think! I always LOVE when I get a special request to see a technique or design in action as it helps stretch and guide me creatively. Is there anything you might like to learn more about? Let me know! Thank you so much for coming to our reunion! My friend, Elizabeth Price, is next up in the blog hop. 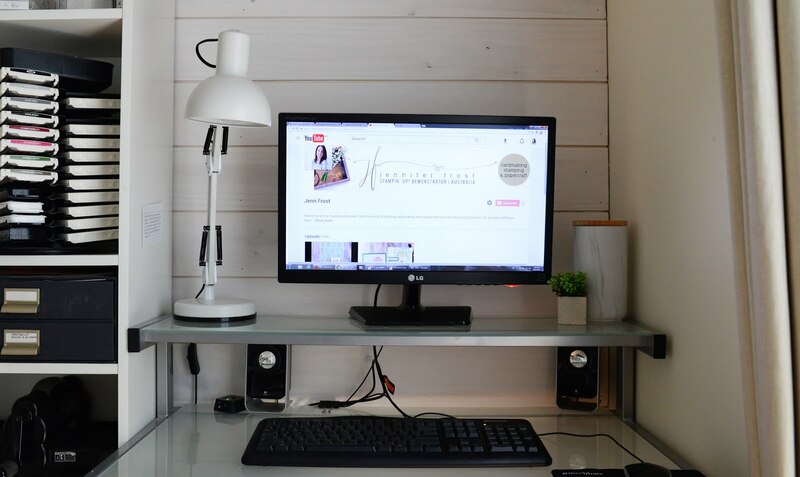 Click the next link below to see what beautiful project she has to share today! 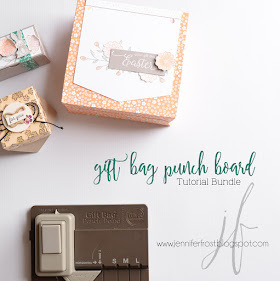 Accessories & Tools: Everyday Label Punch, Eclectic Layers Thinlet Dies, Sponge, Spritzer, Copper Embossing Powder, Powder Brush, Copper Thread, Pearls, Stampin' Blends in Pineapple Punch, Big Shot, Stitched Rectangle Framelit Dies, Silver Edged White Ribbon, Copper Twine. 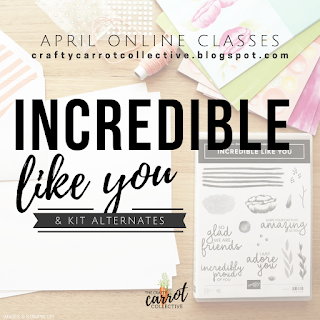 With it's pretty, bright colour scheme and delicate laser-cut overlays, The Crafty Carrot Co knew it would be so fun to teach you how to use all the Incredible Like You precut elements to develop new skills, step up your crafting game and create your own unique cards and memory keeping projects. Unsure? View the detailed video tutorial on *YouTube HERE*! Sponge Grapefruit on Shimmery White 149 x 67mm. Add a light spritz of water and set aside to dry. While drying, prepare sentiment. 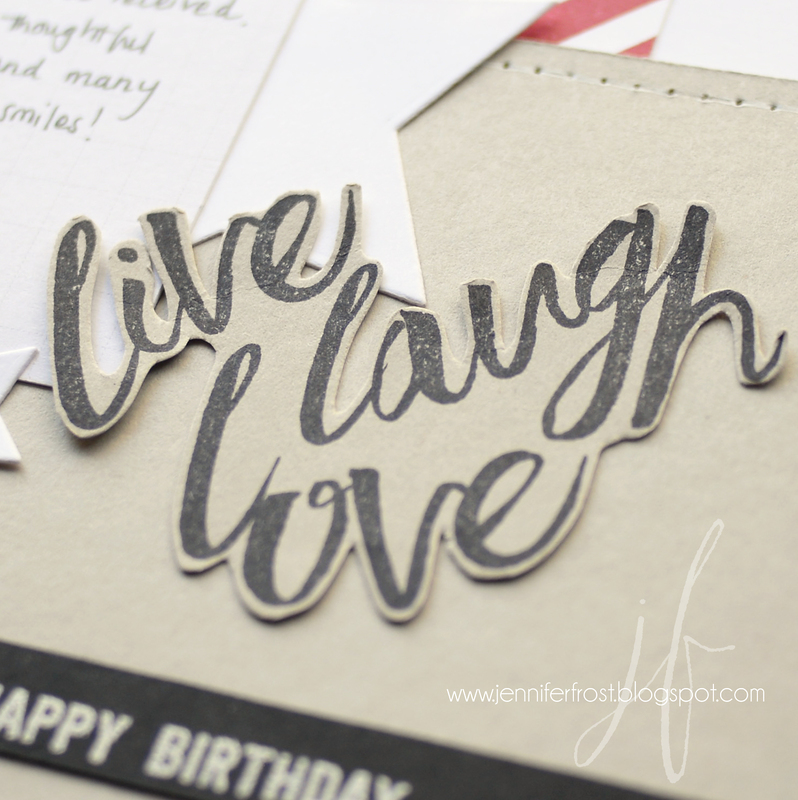 Use the side of the ink pad to ink just the top of sentiment in Smoky Slate. Add some Grapefruit ink with a sponge dauber, and then finish with some Poppy Parade ink also applied with sponge dauber. Huff and puff over the stamp to ensure it is moist and stamp on white. Cut with stitched rectangle die. Once shimmery white panel is dry, apply some VersaMark by swiping the pad over the panel once or twice. 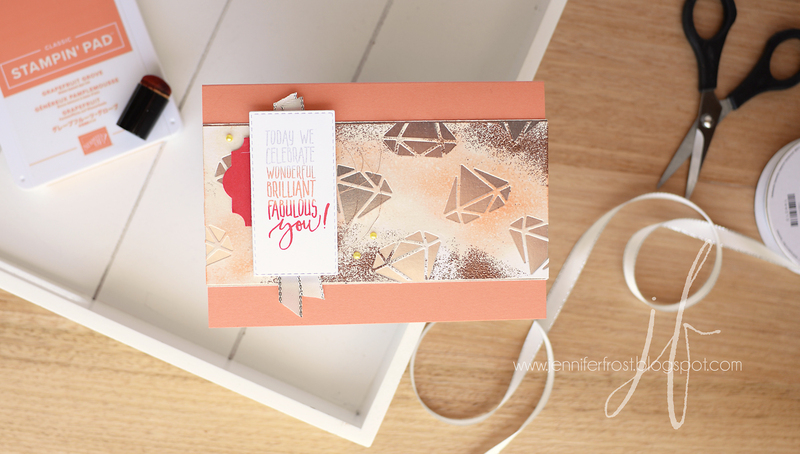 Add Copper embossing powder. Use brush to get the effect you would like and heat set. Cut diamonds randomly to complete. Border on silver foil 149 x 70mm. Attach to centre of folded grapefruit card front. To finish, layer sentiment on dimensionals over label shape in Poppy, strips of ribbon and loops of twine. So beautiful card and such a clever technique! 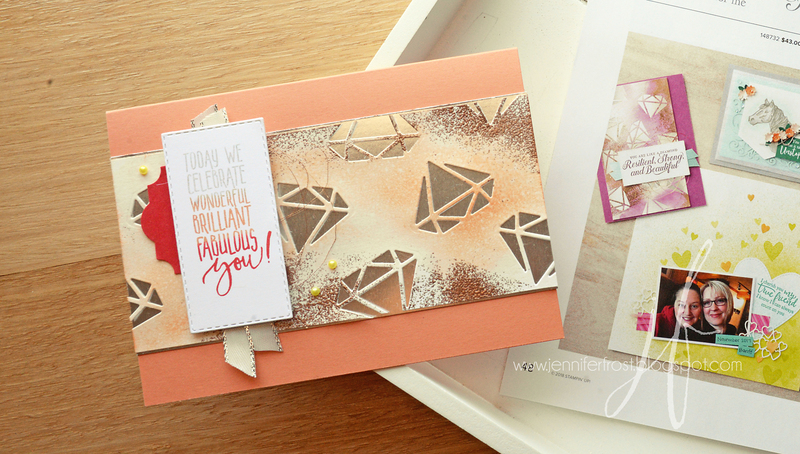 Oh such a beautiful card with the cut out diamonds and ombré greeting. Perfect as always! You are a GEM! Brilliant and Fabulous too. Love the card and the video. So nice to see your smiling face. It was a blast to hop again. Big hugs. By face I mean voice! Lol. So nice to hear your lovely voice. Ah well.